Pete the Cat's Super Cool Reading Collection Just $9.92! Down From $17! You are here: Home / Great Deals / Pete the Cat’s Super Cool Reading Collection Just $9.92! Down From $17! 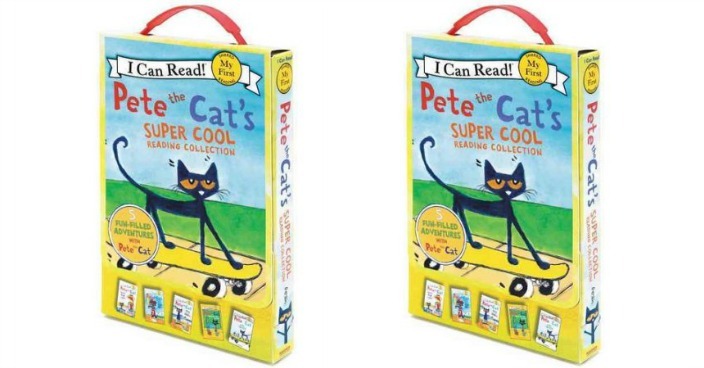 Pete the Cat’s Super Cool Reading Collection Just $9.92! Down From $17! Right now you can get this Pete the Cat’s Super Cool Reading Collection for just $9.92 (Reg. $17) at Walmart! Collects five tales featuring Pete the cat choosing what to wear, learning to surf, painting a portrait of his goldfish, making a sandwich that is too big for him to eat, and playing in a baseball game that doesn’t go his way.